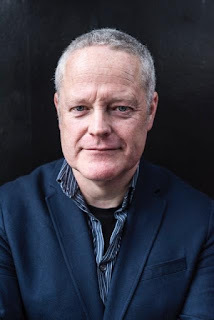 Mark Hill is a London-based full-time writer of novels and scripts. Formerly he was a journalist and a producer at BBC Radio 2 across a range of major daytime shows and projects. He has won two Sony Gold Awards. 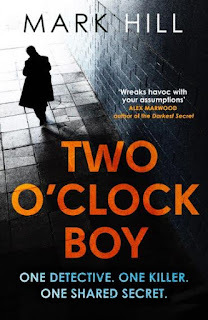 Mark Hill's debut the Two O’Clock Boy is the gripping, twist-filled start to a fantastic new London-set crime thriller series starring morally corrupt DI Ray Drake – the perfect fresh addiction for fans of Luther or Dexter. Now, a mysterious figure, the Two O'Clock Boy, is killing all who grew up there, one by one. DI Ray Drake will do whatever it takes to stop the murders - but he will go even further to cover up the truth. 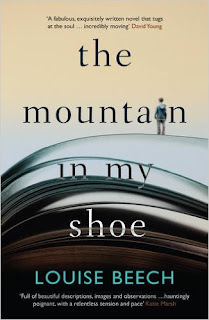 "An unsettling and powerful story... The plot cleverly weaves past and present – with shocking, edge-of-the-seat twists until its heart-stopping finale." Discover the gripping, twist-filled start to a fantastic new London-set crime thriller series starring morally corrupt DI Ray Drake - the perfect new addiction for fans of Luther. We'd like to thank Mark, for A Conversation with...and wish him huge success in the future. I had one of those amazing English teachers at school who saw something in me that nobody else did and encouraged me to write, which I did in a fashion – I became a journalist. I always felt that one day, one day, I’d be an author. But the months and years passed, great civilisations rose and fell, my hair turned grey and my chins multiplied, and I still hadn’t written a novel. Maybe I was just kidding myself. There was only one way to find out. So I sat down and wrote the book that became Two O’Clock Boy. My role is to entertain the reader, give ‘em all the good stuff - heartbreak and horror. Keep them all up at night, cause them to miss their stop on the bus. I want to tell the best story possible in the best way possible, and to cram the pages with unforgettable characters. It’s something to aspire to, at least. Coming to writing in my 40s, I discovered the process is something of an emotional rollercoaster, but I love every minute of it and can’t imagine doing anything else. It’s a pleasure - and a privilege. One of the joys of writing crime is that you get to explore all kinds of murky emotions and experiences. Difficult or abhorrent people are always fun to write. But people have often commented on the ambiguity of my characters – I like finding the light and shade in even the most despicable chancers. The truth is, I love all my characters – I find getting into the head of imaginary people an incredibly cathartic process, actually. I’m particularly attracted to the ones who have reached the end of their tether. People who have crossed a line and can never step back, but who still grasp for redemption. It’s great to play with all those big emotions – love, hate, terror – and step away at the end of the day. One of the reasons Two O’Clock Boy is written over two time periods – in the 80s and the present day - is because I wanted to write as many different types of characters as possible: young and old, damaged and, er… more damaged. True, they’re unfortunate to exist in a crime novel and may not necessarily survive till the end of the book… but I hope they enjoy their moment in your mind’s eye. There are other characters, too, who didn’t make it through to the end of the drafting process. I like to think they’re still out there somewhere, waiting patiently in some weird literary waiting-room in a parallel universe, suitcases at their side, ready to re-emerge in someone else’s book. An author friend showed me a photo of his colourful writing shed beside an aquamarine swimming pool in some sun-soaked place. That looked nice and I ached for a few moments. But the truth is, I fear I wouldn’t get too much work done in such a paradise. The fact is, a small cell with no windows and no wifi signal is probably what I need more than anything else. The view from my attic room across my garden and the houses beyond is probably more than enough for me. I love watching the sky burn red over the rooftops at the end of the day. There are so many. I’d like to write a crime novel which is the perfect balance of theme, character and story. Something like Dennis Lehane’s terrific Mystic River. Write, write, write. Find a way of getting words on the page that works for you and when you do, trust the process. There’s a brilliant quote about writing by the US broadcaster Ira Glass, that a friend of mine kindly made into a poster for me and which now sits beside my desk. Glass talks about how it’s going to take a while for your work to become as good as your creative ambition – that’s normal, but you’ve got to do a lot of work to close that gap. You’ve got to fight for it. The follow-up to Two O’Clock Boy is currently under construction - be sure to wear your hard hat and hi-viz jacket. There will be murder and mayhem. You have been warned. That would be Willy Wonka: genius, recluse, benefactor, psychopath. 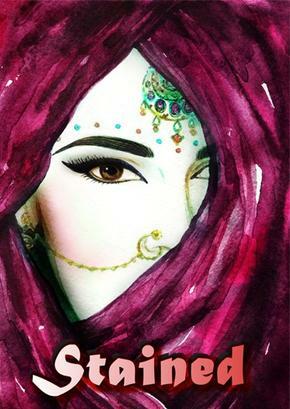 Abda Khan’s Stained, begins with her protagonist finding justice to her attacker with a captivating opening chapter told through Selina’s eyes after being raped. Khan threads the story in the following chapters feeding readers with the complexity of the so-called ‘dark issues’ in Asian communities dwelling into pride, hypocrisy and shame issues surrounding the taboo of exposing adulteries and indecencies. There are some similarities to Monica Ali’s Brick Lane and the character of Nazneen. Selina and Nazneen are the same age and both young women are smart and self motivated. Nazneen, Ali’s protagonist, defies expectations to begin with; she is thought to have been died after birth – to Selina with her energetic personality and high aspirations. Nazneen is a young bride brought over from Bangladesh with no English, whereas Selina was born and bred in Bradford, both are trapped in their respective circumstances with little freedom; the former is in one of the Tower Hamlets high-rise council flats whilst the latter in an untimely pregnancy and an impending arranged marriage against her wish. In Brick Lane, Ali highlights the imposed alienation of being uprooted, loneliness and an unhappy marriage that leads to her haram relationship with Karim. Stained exploits guilt and culpability whereby a terrified girl has to think fast to uphold her family honour. Nonetheless, both novels are upbeat in divulging intriguing taboos that are much influenced by the South Asian cultural interpretation of Islamic values. Khan does her job well using first-person account to illustrate Selina’s dilemma of being a dutiful daughter and a terrified girl battling her fears, shame and anxiety. She is eloquent but vulnerable, a reliable voice with vivid observation. The plot thickens, as she is faced with her attacker in her home a year later and is about to be attacked again. What’s more, the downfall of Selina seems to mirror Ali’s climax of Nazneen’s adultery with Karim. Stained becomes more interesting as Selina has to bear the consequences of her action. I like Selina a lot – her attitude and her resilience. It’s easy to have a lot of sympathy for her. Her choice of phrases and expressions emulates little paraphrasing and bears little semblance to the mind of a young girl’s uphill battle growing up as a British Muslim whose world is a clash between traditional upbringing and secular society. Personally, I believe the strength of the book lies with its minor characters. Nevertheless, there is not much said about their back stories; e.g. Zubeir and his background; the making of a sexual predator masked in high education and a glowing reputation as a scholar and a family man. The real life Rotherham sexual abuse case exposed men in the same league as Zubeir. What’s more, Khan shows that there are other victims of his that then come out in the story. By the same token, they are only briefly described for the sake of the subplots. In the fictional world, I am not sure what Khan actually wanted for Selina: is she a symbol of a modern British Muslim girl? Is she a symbol of a generation of young women blighted by sexual harrashment in 21st century UK? I recommend this book because the need for ‘following up’ the Rotherham case is greater than ever. Young girls should be perpetually reminded of the signs of grooming by older men and how dangerous they are. I hope what happens in Selina’s world can inspire other girls with similar experiences to come forward and seek justice for themselves. 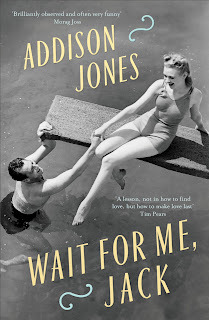 Addison Jones is the author of four novels and a collection of short stories, all written under the name of Cynthia Rogerson. Her short stories have been broadcast, anthologised, short-listed and included in literary magazines. She holds a RLF Fellowship at Dundee University, and supervises for the University of Edinburgh’s creative writing program. Set near San Francisco, this warm and funny novel follows the fortunes and failures of Jack and Milly for sixty years. They marry in 1952, and typical of post-war couples, shift up a class. Optimistic and full of plans, they see themselves living the American Dream. Through the years they cling to each other despite having little in common. But the clinging doesn’t always preclude infidelity or disappointment, and the social changes they live through impact on their relationship in complex and surprising ways. Ultimately, though, what holds them together is stronger than what pulls them apart. This is a love story that tells the truth – or one or two truths – about love and marriage. We'd like to thank Addison/Cynthia for taking part in A Conversation and wish her good writing and good luck with the forthcoming novel. My writing life began not long after my reading life began – probably about seven years old, when I got my first diary. I could imagine nothing finer than being a writer. For the next twenty years or so, I honed my writing mostly through letters, essays and diaries. I was able to think more clearly when writing. I wrote the occasional short story or poem but didn’t really take writing fiction seriously till my late thirties. with four young children I was in desperate need of an alternative reality. I read for escape, and writing was a natural extension of that. I don’t really think of my writing in those terms, as if my writing has a purpose to the wider world. If it does at all, beyond escape and entertainment, perhaps it’s to allow people to understand they are not alone in whatever weird way they secretly perceive themselves. I try to present a forgivable version of human frailty. I mostly enjoy – not the finished product - but the process when it is going well. Those rare moments when I suddenly love what I have written. YES. It is my goal with every single story. I can’t imagine any way to write that does not involve this. It is not easy to create and sustain individuals who are quite different – but anything else would not be worth writing or reading. Even folk who appear similar on the surface, are always incredibly complex and contradictory, once that surface is scratched. It is my job to scratch the surface. I like my life as it is, where it is. On the other hand, I can happily write anywhere, so maybe it is a moot question. WRITE A LOT. (Expect nothing, just keep at it.) LIVE YOUR LIFE – fully and perceptively. Observe, listen, think hard, dream hard too. 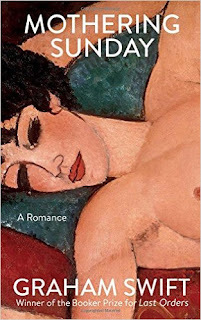 A collection of stories based on characters who share a bed – but not your typical married couple or romance. More old person and carer, gay guy and straight woman, homeless person and dog, etc. Scout in To Kill a Mockingbird. Imagine the light is out all of a sudden. Darkness descends; you’ve been caught off guard. It engulfs you fast. Struggling, you would try different ways to find either a switch or anything that would make the light comes back. You might think of something. Or else, nothing. You then decide to adjust yourself and put your senses into a good use for the first time in many moons. You learn to adapt. Reading line after line in Irenosen Okojie’s Speak Gigantular seems like being ushered into a tunnel. It could be a cave. Or an enclave. A crook on a steep cliff. Possibly, an abyss. There is neither a way to realise how deep the cave will be nor the distance of the tunnel. Short? Long? One cave or more? Yet the smells of candles burning fast are wafting in the air; giving a sense towards an end. The Nigerian-born Okojie is an old hand for laying bare taboos and home truths. Her depiction of events are unflinching, her imagination vivid. Her sentences oftentimes contrast beauty and brutality in a paragraph that guarantee a stinging touch in its conclusion. Just as in her acclaimed debut novel Butterfly Fish, she flavours abnormalities and perceived absurdity with a touch of the mystic. She often plays with her protagonists’ troubled minds, enlivening the worlds in their heads. Needless to say, the surreal topics deliberated in some stories may require a second reading and time to digest. There is no doubt about her skill at blending intriguing narratives. According to Okojie, the viewpoint of her protagonist seems to guide and guard the plot, keeping the surprises until the very end of it. According to Okojie, real words and other ones can run parallel and their distinguished traits can blur. Meet the underground jumpers Haji and October in Walk With Sleep and a ten-year-old Henri Thomsen who was born with a tail in Animal Parts. Okojie marvels at Fractures, her portrayal of the luring of an alien to its human prey tips. Despite the nature of their relationship it grows; leaving readers gasping for breath in anticipating the worst. Long gone the days when a fiction is an escape from daily grinds. For this book seems to aim at pushing boundaries as to what is acceptable and what is not. At the same time, each story discusses the hardly touched issues of mental health problems. There are times when a viewpoint is swiftly switched; from a protagonist to a minor character and back to the main one. Okojie’s minor characters move a story forward; usually an awkward jigsaw piece to complete a puzzle. Take the example of Hanif the butcher in Why Is Pepe Canary Yellow. He becomes Pepe’s friend; the protagonist who worked for him to raise money for his ailing mother. He grabbed his phone from his pocket, nearly dropping it and rang Hanif. The number had been disconnected. Edging forward, he bit back a groan, shivering slightly. Hanif had cleared out, closed up shop. He was still owed a month’s wage. He needed that money. How could he have taken off like that without telling him, without warning? He knew things had been rough, but he felt betrayed. He felt sad and alone. At that point, halfway the story, Hanif disappears after over a thousand words. A minor character that cleverly in his absence he manages to play significant part in the protagonist’s fate. In the end, Okojie’s themes on the fall of humans observes the process itself; their resistance, resilience and ambiguity. Thus, effort is more important than the difference in results. Her stories are not meant for readers seeking answers to human idiosyncrasies, but readers who are willing to understand varied motives of people’s behaviour judgement aside. More importantly is to challenge a perception toward circumstances and define new normalities. 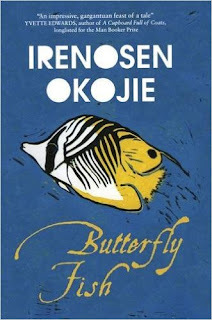 Irenosen Okojie has been long listed for the first Jhalak Prize. Awarded annually, this prize will seek out the best books by British/British resident BAME writers and award one winner £1,000. It was started by authors Sunny Singh, Nikesh Shukla and Media Diversified, with support from The Authors’ Club and a prize donated by an anonymous benefactor. The prize exists, to celebrate the achievements of British writers of colour. The judging panel is chaired by Sunny Singh. Joining Sunny on the panel are the YA author Catherine Johnson, the author and poet who recently won the Guardian Children's Fiction prize Alex Wheatle MBE, the poet and broadcaster Musa Okwonga and Booker-longlisted fiction writer Yvvette Edwards. Greenacre Writers is absolutely thrilled for Irenosen and extend our warmest congratulations to her and the all the longlisters. My plan at the beginning of 2016 was to read Orphan Lit and review it. Here are some of my favourite reads, in no particular order, some reviewed and some not, from last year and nearly all of them feature orphans! 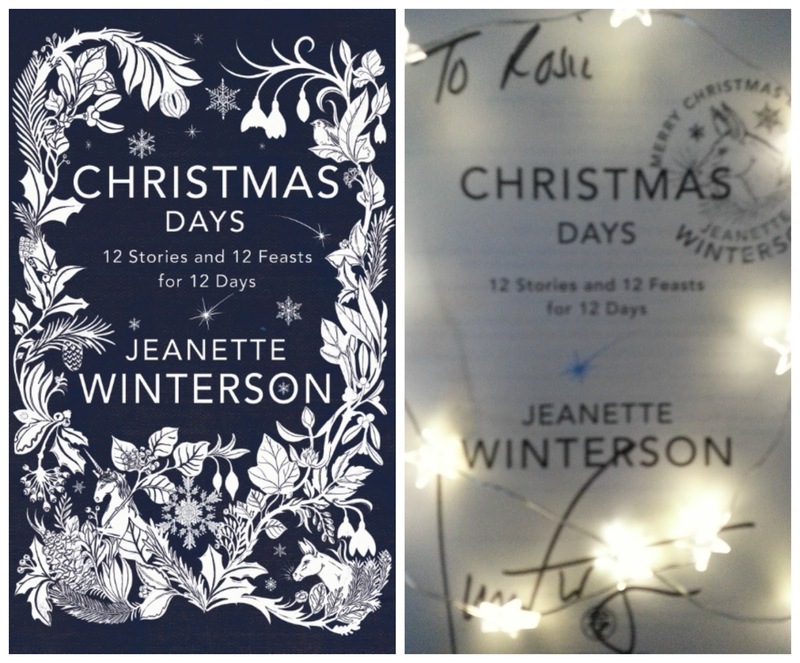 I recently won a ticket to the Guardian Christmas event with Jeanette Winterson and Nigella Lawson where they spoke about traditions, recipes and memories and Jeanette red from her Christmas book. For the twelve days of Christmas, a time of celebration, sharing, and giving, she offers these twelve plus one—a personal story of her own Christmas memories. These tales give the reader a portal into the spirit of the season, where time slows down and magic starts to happen. From jovial spirits to a donkey with a golden nose, a haunted house to a SnowMama, Winterson’s innovative stories encompass the childlike and spooky wonder of Christmas. Perfect for reading by the fire with loved ones, or while traveling home for the holidays. The orphan narrative resurfaces in these Christmas tales featuring abandoned young children locked in or out of doors, trapped inside chests or treated cruelly as in Mrs Reckitt’s Academy for Orphans, Foundlings and Minors in Need of Temporary Office. 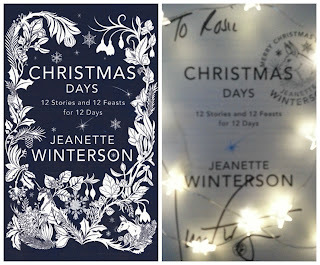 Jeanette Winterson is a heroine of mine and this Christmas collection will become one of my treasured books. The perfect Christmas gift that I gave myself. 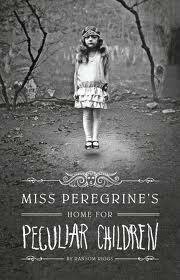 This is a strange book filled with old black and white photographs of peculiar children, an abandoned orphanage and a mysterious island. As the story opens, a horrific family tragedy sets sixteen-year-old Jacob journeying to a remote island off the coast of Wales, where he discovers the crumbling ruins of Miss Peregrine’s Home for Peculiar Children. I felt the second half of this book works more for a YA audience. The film of the book was released in September 2016, and I look forward to watching that soon. This book made me cry and I don’t think I’ll ever quite forget it. It is very well written and truly captures the voice of a traumatised child in care. 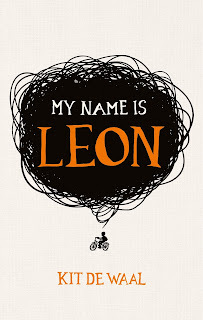 Leon experiences what it is like to be nine years old and taken away from a mother and brother whom you love and adore. To be left alone in a strange world where all your belongings have disappeared and living with a stranger whose house rules you have to get used to. Written from protagonist, Dawnay’s viewpoint, the book opens onto eighteenth century life in London. We witness the terrible poverty and the way orphans, and women were treated. Ultimately though, this is a feel-good novel that re-writes the often terrible history of the neglected, nameless, and homeless orphan. This is ‘the age of sail, orphanages, the flora and fauna of islands, and even the origins of all humankind’. Impeccably researched, at times I had to wear a peg on my nose as the scenes of filthy London were so rancidly lifelike. In many ways this novel is the true definition of the ‘What if’ scenario. What if a poor female orphan was given an opportunity to become educated. What would she become? If you like stories about independent women, think Forever Amber, historical novels with a touch of romance, then this is the book for you. Katharine joined us at last year’s Finchley Literary Festival where she spoke about The Fish Ladder, a beautifully written travelogue, memoir, with exquisite nature writing, fragments of poetry and tales from Celtic mythology. It explores the void, the hole, the ‘missingness’ that can quite suddenly engulf a person who has experienced trauma as a baby or a young child. I’m currently re-reading this book and enjoying it even more. The writing is exquisite. The emotions of Jane Fairfax, the orphan, captured perfectly. Abandoned outside an orphanage at birth in 1901, this is a fairy tale about the transformation of Jane from servant to world-renowned writer. 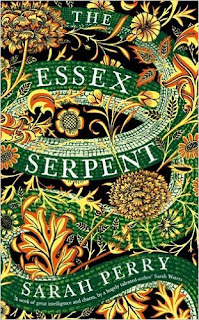 At times the lyrical waves of prose remind me of a stanza in the way certain refrains are repeated throughout the book – it’s very cleverly done. Mothers Day 30thMarch 1924, Jane looks back at this one perfect day that will haunt her for the rest of her life. The inspiration for this novel came from Susan Beale’s adoption files. The papers included interviews with her mother, grandmother and one with her birth father. 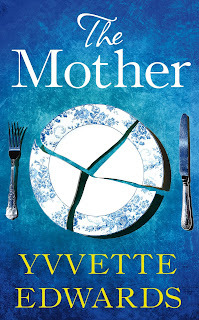 This is an extremely evocate, powerful and well-written novel that has truly captured the essence of 1960s suburban, New England and the plight and stigma of the unmarried mother. 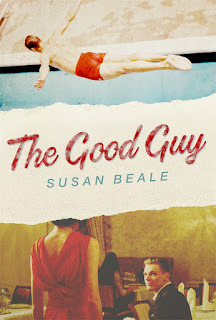 This novel is about a missing boy. A missing book. A missing husband. A woman who must find them all to find herself. But more than that it is about a young boy who has been fostered. 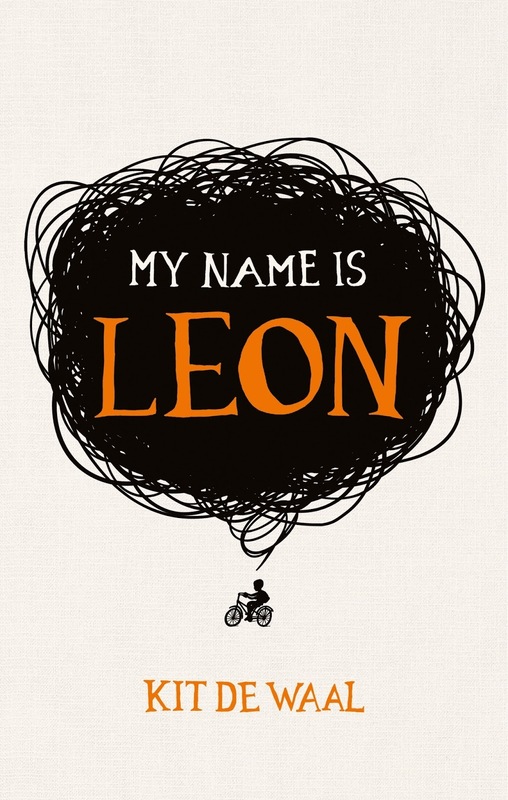 Louise uses a Lifebook throughout the narrative – this is a book put together throughout a child’s time in care – to fill in the gaps – in this instance Conor’s past. It is a clever device and not one I had seen before. Exquisitely written and deeply touching, The Mountain in My Shoe is both a gripping psychological thriller and a powerful and emotive examination of the meaning of family … and just how far we are willing to go for the people we love. 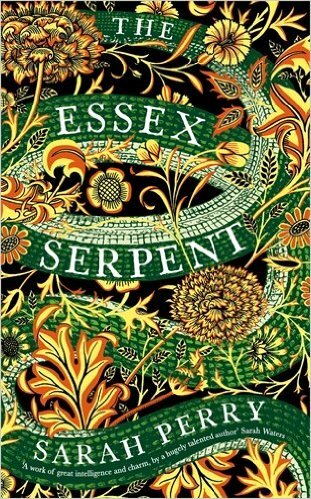 This Gothic novel was birthed to amazing reviews and it was one that had been on my TBR for some time. Along with many other people I also coveted the cover. From the first to the last page, I could not get enough of this book. Set in the early 1890s, and told with exquisite grace and intelligence, this novel is most of all a celebration of love and friendship, and the many different guises it can take. Another FLF guest, this novel is about a 16 year old boy who is stabbed and killed by another 16 year old boy. The book follows the trial of the boy accused of his murder and the narrator is the victim’s mum. A truly harrowing and emotional journey as the protagonist goes through a tidal wave of emotions dealing with that worst of all parent nightmares, losing a child. 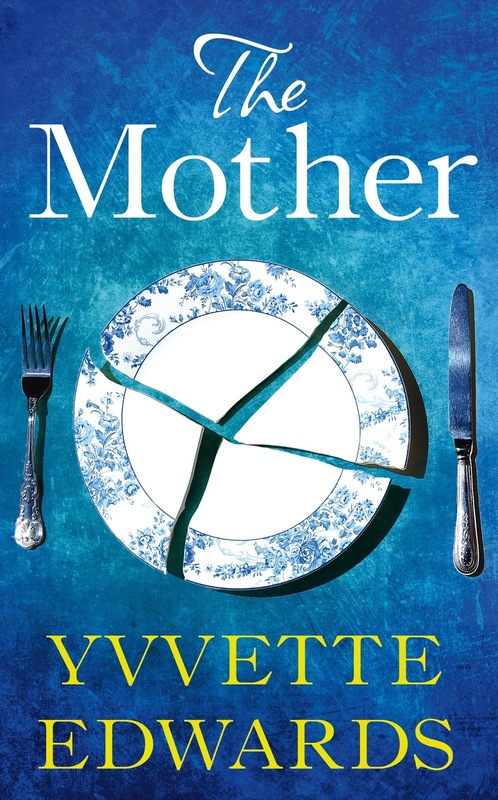 Extremely well-written, the narrative explores the harsh realities facing families who have lost children to knife crime. 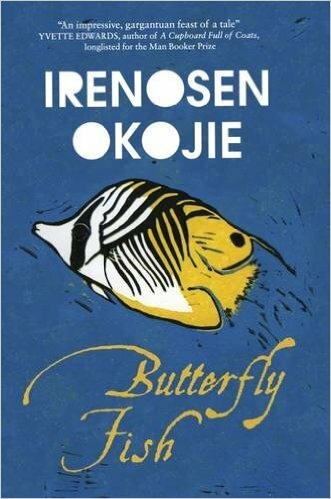 Irenosen also joined as at the Finchley Lit Fest where she spoke about Butterfly Fish, a powerfully told story of love and hope, of family secrets, power, political upheaval, loss and coming undone. Let go and fly with the flow of the narrative of this haunting and compelling magical realism novel. The Benin scenes are particularly breathtaking. It is a story of epic proportions, skillfully held together by Irenosen Okojie, an author to watch out for in the future. Another Finchley Literary Festival guest, Vaseem kept us all entertained with his experiences in Mumbai that were the inspiration for the series. On arriving in Mumbai he was greeted with the unusual sight of seeing an elephant wandering down the centre of the road. This vision stayed with him and a passion for elephants developed – after cricket and literature of course! A well written book, easy to read and very entertaining with wonderful descriptions of the vibrant city of Mumbai. It is the first in the Baby Ganesh detective agency series, I have the second in the series on my TBR list.